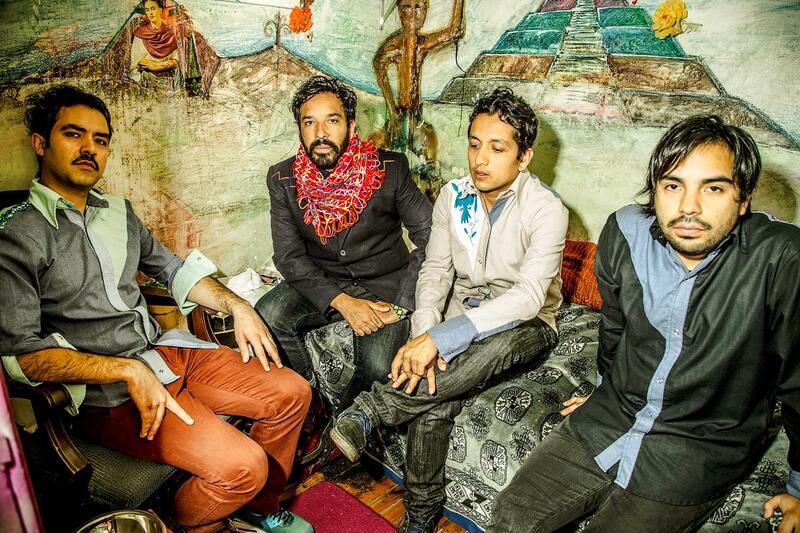 Centavrvs is a Mexican band that explores traditional Mexican corrido genre with electronic rhythms. The band is formed by Demián Gálvez, DJ Rayo, Paco Martínez, Alan Santos and Carmen Ruiz. Their concept is an honest attempt to reinterpret the present idea of being Mexican: the essence and mixture of folklore and dance culture produced in the city. Pacifico (2011) and Aniv de la Rev. (2012) are the band first EP’s; one inspired by the sea and violence in Mexico, the other commissioned by CONACULTA to commemorate the century of Mexican Revolution. In 2014, Centavrvs released Sombras de Oro their first LP produced by the band with Toy Selectah’s help (Ángeles Azules, Control Machete).